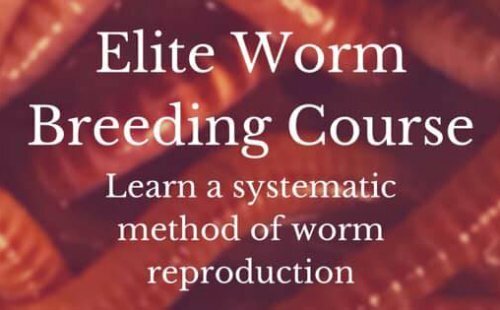 Do you have any worm questions for me that you couldn't find in the worm farming guide? Well, this is the place to ask it. I get questions all the time from people all over that are just getting into worm farming or have been worm farming for a while. I thought it would be a great idea for everyone to glean from this page. I hope it will offer many solutions to others problems. Or maybe someone will want to post their answer. Everyone is certainly welcome. So, help build the worm farming community and ask some questions. Who knows? Maybe we'll spark a topic and you can help me write more pages. Let's learn from one another and help each other become the best worm farmer or gardener we can possibly be. Use Ctrl + F (command + F for Mac) to find and word or phrase on this page or simple use the "Search this Site" to find anything on this website. Have A Great Question To Ask? Ask me whatever you want and I'll do my best to answer. If I don't know the answer, then maybe someone else in the worm farming community does and they will post it here. Someone wrote they kept theirs in by smearing vasoline treated with salt on the lip of the bin. Will this discourage them or kill them? Is it best to mix the food with bedding when feeding my worms? Do worms regenerate / regrow if cut in half when digging over the soil ?? Alabama Jumpers Suitable for Composting Worms? Flow Through System: How optimum tall of each worm bin? Do you add soil to your worm farm and what type of worms do you use? I have a 3 tray worm farm, the worms are doing good but when do i add the second tray as I am still on the first tray? How long does it take for worms to fully develop in the mixed waste that is used to grow them? My worms seem to be trying to escape! WORM CASTINGS VS WORM "WEE"
Why is my second bin underneath the feeding bin not water but muddy? I have just noticed a few weavils in the wormery, will this be a problem or will it naturally correct itself? Me and my little brother were in the backyard the other day and we wanted to know what kind of worms do we have. How do you know its a red wiggler? Should I stir (aerate) my vermicompost? I have earwigs in my wormbin. Are they harmful? Hi, My question is...what is making some of my worms have a pale pinkish ring on their bodies? I was wondering whether the worms vary with soil and climatic conditions for vermicomposting?